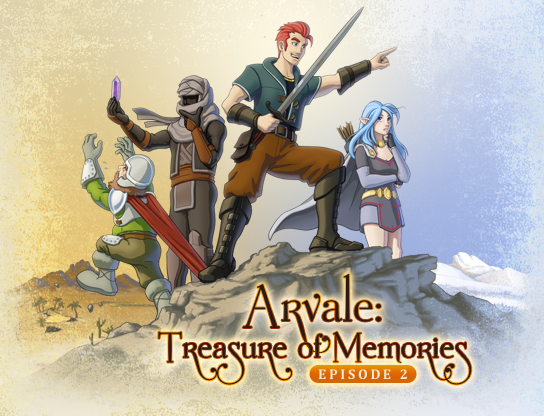 Arvale: Treasure of Memories, Episode 2 Released! And there shall be multiple exclamation marks!!! Yup, the game we’ve all been waiting for has finally been released and is available for sale. The game shall also be available on the exceptionally awesome Amaranthia, Aldorlea, and Overcloud9 sites soon. Arvale: Treasure of Memories, Episode III RELEASED! Arvale: Treasure of Memories, Episode IV Released! Arvale: Treasure of Memories Now on Sale!